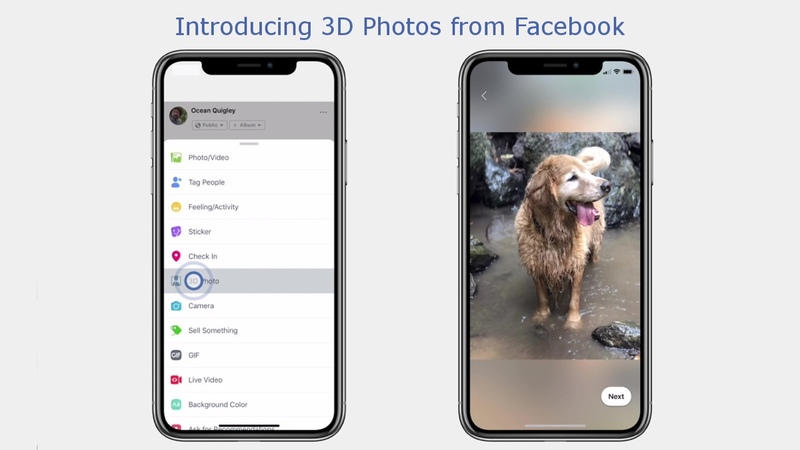 Here’s a complete tutorial on how to post 3D photos on Facebook using your smartphone in a few easy steps. Give it a try, it’s fun! All of us have been posting photos and video to Facebook for quite a while. It’s a super easy process. Just tap on the ‘What’s on your mind?’ status box, then tap on Photo/Video, select what you want to post and tap on Share. But little do people know that the sharing process allows you to put up a 3D photo in your timeline as well. When viewed on a smartphone, you get a real-time 3D effect when you move your device around. It’s really trippy and is something which everyone should know about. But there’s a small catch to it: the photo shared must be taken using a device that has a depth camera on it. If you’re wondering which devices those might be then the iPhone X, iPhone XS/XS Max, iPhone XR are right up there in the food chain. Regardless, if you fulfill the criteria, follow the steps below and join the 3D photos club right now. 2. ‘Like’ the page. Go on, it’s perfectly fine, it’s an official Facebook page. 3. Force close the Facebook app by removing it from the app switcher. 4. Relaunch the Facebook app. 5. Tap on the ‘What’s on your mind?’ status box at the top of your timeline. 6. In the list of options available, just select 3D Photo. 7. Select the photo with the added depth effect and post it on your timeline for others to see. The end result is always great, but remember, if you are trying to post a photo with a ‘fake’ depth effect applied to it then Facebook will instantly reject the photo. The app requires you to post real-deal material with depth data instead of stuff with fakery plastered all over it.